This post is part of a compensated campaign in collaboration with Veo and Latina Bloggers Connect however all opinions are my own. I have always had an obsession with great deals, coupons, and freebies. Saving money is currently my priority. I'm not a crazy coupon mom, but I want to save as much as possible. I was in search of an app that provided a variety of options that would save me a few bucks. I was recently introduced to Veo. 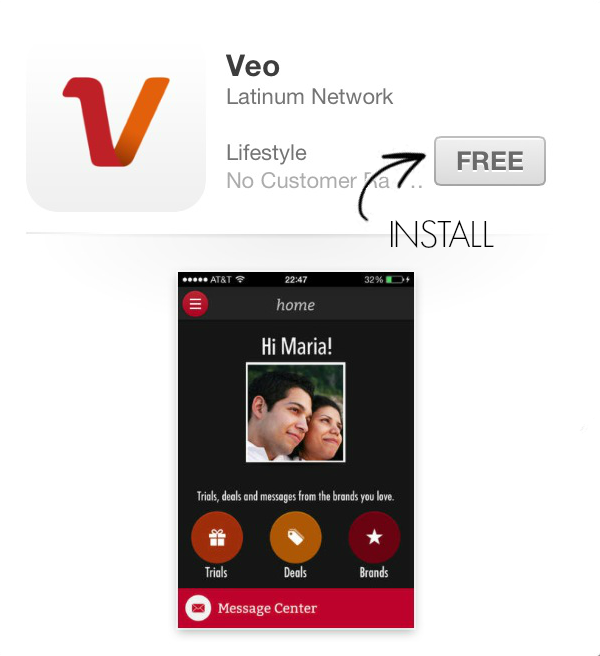 Veo is a new application that was designed with Latinos in mind. Latinos are introduced to trusted brands, discovering great items, and at the same time saving dinero. Not only do I find great deals, I get free trial items. Every month they bring you amazing deals that will guarentee savings. The app guide in the beginning put everything into perspective, which made things way easier. 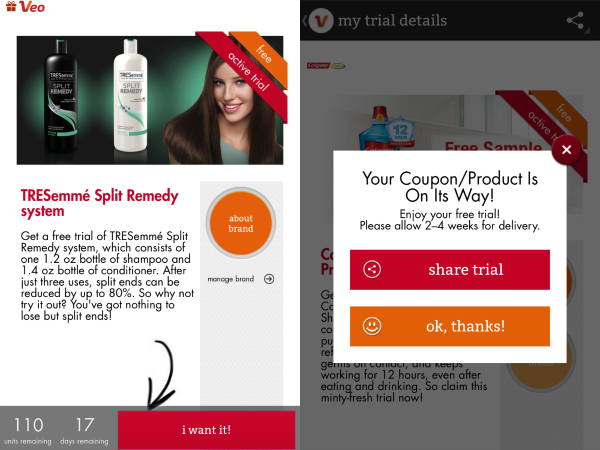 Once I login to my app, I immediately check my messages where I will be notified of any current giveaway or any added trial/deal. I love that it is bilingual, therefore it's perfect for everyone. My favorite feature is the trial section. They give you a few options and you just select "I want it" and you're done. There is something for everyone in the family. My boyfriend really enjoyed 10% off the NBA website, and I loved the Lorac gift set on sale for $36. They have a great selection of brands, however I wish they had a little more. I'm sure in the near future more brands and more great deals will be added. 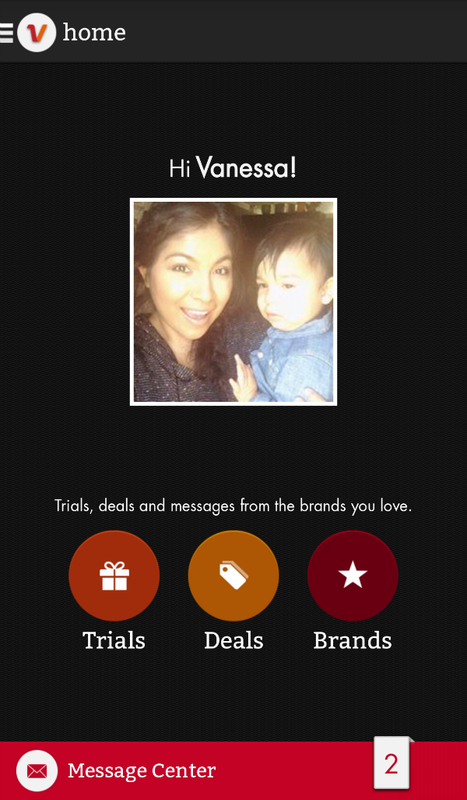 Each brand can be contacted for more information about their product by simply clicking on the "more info" button. 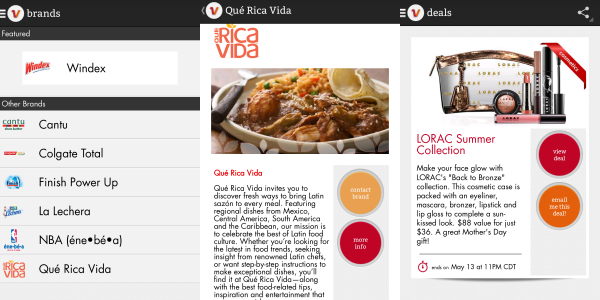 Fun recipes and product reviews are also included in this culturally relevant and community oriented application. I'm having so much fun browsing so many sales. I'm so excited to receive my freebies and discounted products in the mail. I am convinced this will continue to be my one-stop shop for great product, great brands, and most importantly great deals. 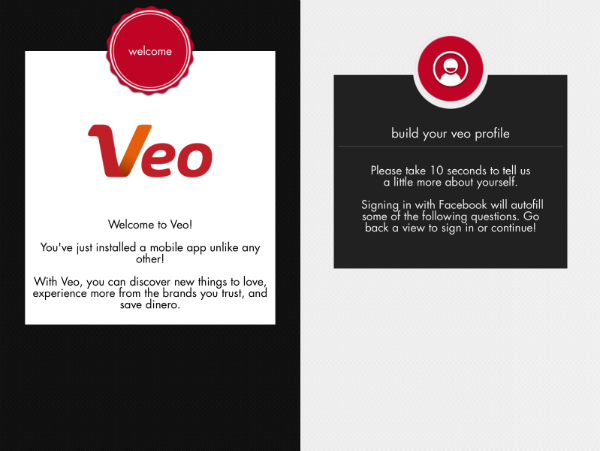 Veo is growing fast, and now it's your turn to try it out. Veo is giving my readers a chance to win a $25 gift card by simply downloading their FREE application. I loved it! I can't wait for samples, coupons, and savings!! Wow what variety of brands! How cute is little evan!!!!! Love this! It’s nice you can have it customized to deals you are interested in. The deal I liked was the architecproducts “gripper colander” for $11.99.